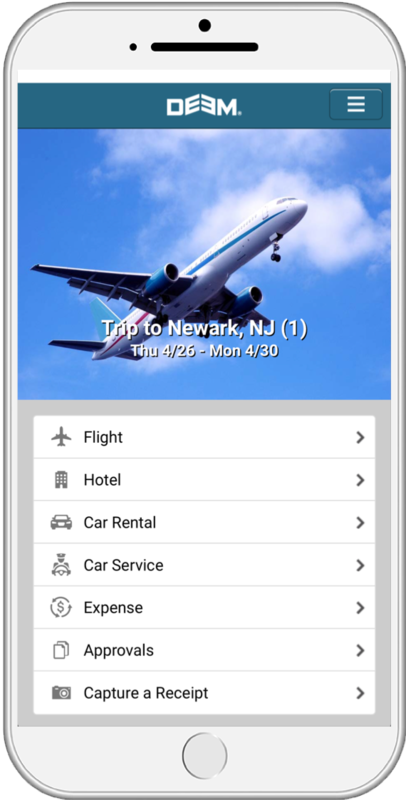 Deem Work Fource is a suite of cloud and mobile software applications that saves your travelers time booking and traveling, saves you money on air, hotel and ground - and helps you both get more done in less time, with more choice. Deem Work Fource saves you time and money with predictive and personalized solutions. 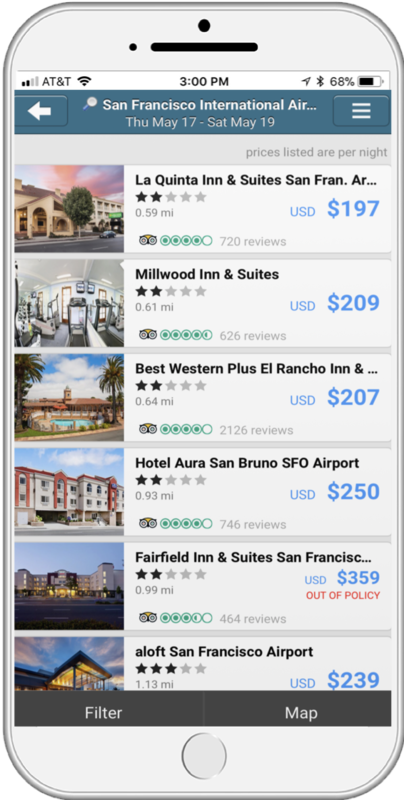 Deem Work Fource increases adoption and compliance, improves hotel and car attachment rates, provides powerful traveler and travel program insights and delivers superior distribution capabilities. Deem gives car service a 21st-century makeover, bringing the benefits of SaaS and modern technology to ground transportation. Travelers can summon a chauffeured ride with the tap of a button, while staying in compliance and saving money by using only company-approved operators. If you're looking for a self-service, low management solution, Deem Emerging is the perfect place to start. The platform is easily configured by corporations in a matter of minutes and offers critical features travelers need to book and manage their trips, whether on desktop or mobile device. The most difficult part of any business trip is too often the trip itself. It shouldn’t be. We give travelers the freedom to book the flights, hotels and ground they want, but within a finance approved framework to manage costs. Rather than face problems when it’s too late at the expense report stage, we prevent the wrong stuff from being booked in the first place. We think that saving money is best handled preventatively, before the trip is expensed. taking less time to book travel and costing you less in management fees, out of compliance bookings, and lost airline tickets. More than 50,000 corporate customers use Deem's solutions to get their travelers where they're going..
50,000 Corporations Use Deem. Join The Team. Your travelers can book in-policy flight, hotel and car service all in one go, in half the time than Deem's main competitor. Freedom too - three times more flights and hotels, just like you’d expect on a consumer app, but all in-policy. Less traveler and travel manager hassle means your travelers can do more in less time. Instead of spending countless hours fixing bad bookings or creating ones that cost you money, everyone can tackle their real work and get it done. More than 50,000 business customers use Deem's solutions to get their travelers where they're going faster, easier, and less expensively. See for yourself how Deem Work Fource streamlines the travel experience, taking less time to book travel and costing you less in management fees, out of compliance bookings and lost airline tickets. Subscribe for Deem's latest product updates, industry news and travel trends. We promise not to spam you.